We have talked before about our luxurious hand-colored copy of the eleven-volume Blaeu Atlas, Geographia (Amsterdam, 1662), but never delved into a curious digression in the first volume. As you move along through maps of northern Europe in a fairly predictable pattern, you suddenly find yourself zeroing in on unexpected details on the island of Hvæna. 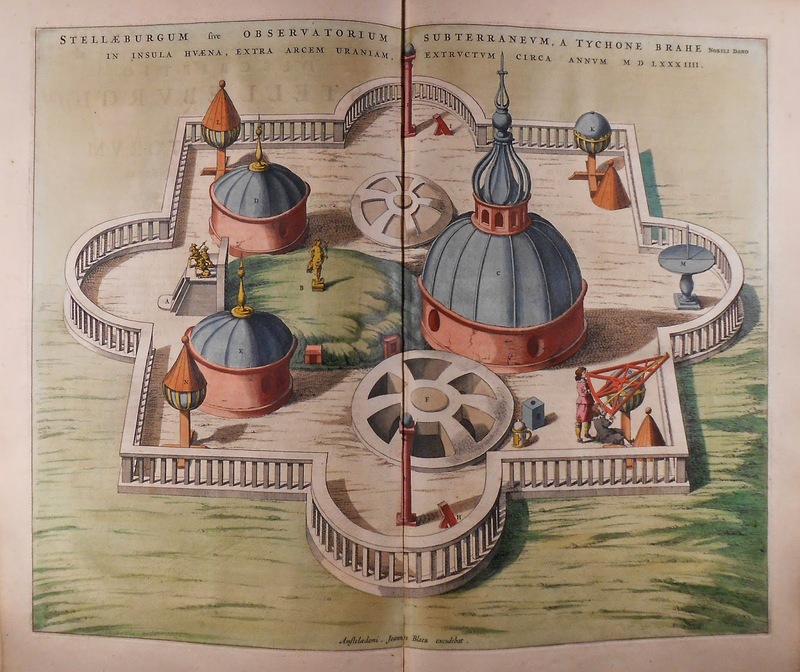 There, the atlas takes the reader on a tour of Tycho Brahe's observatory with fourteen full-page or double-page engraved illustrations. Why this obsession? 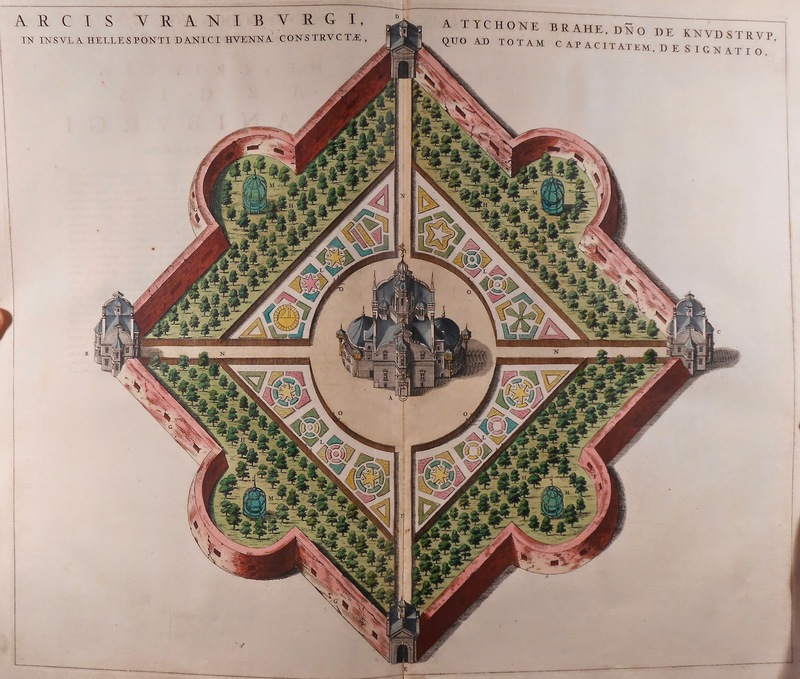 It is likely that Joan Blaeu was giving a nod to his father Willem Blaeu who started the family mapmaking business. Willem had been a student under Brahe at Hvæna, and it was during his time with Brahe that he developed his skills constructing globes. It is also a gesture to Joan Blaeu's own qualifications. 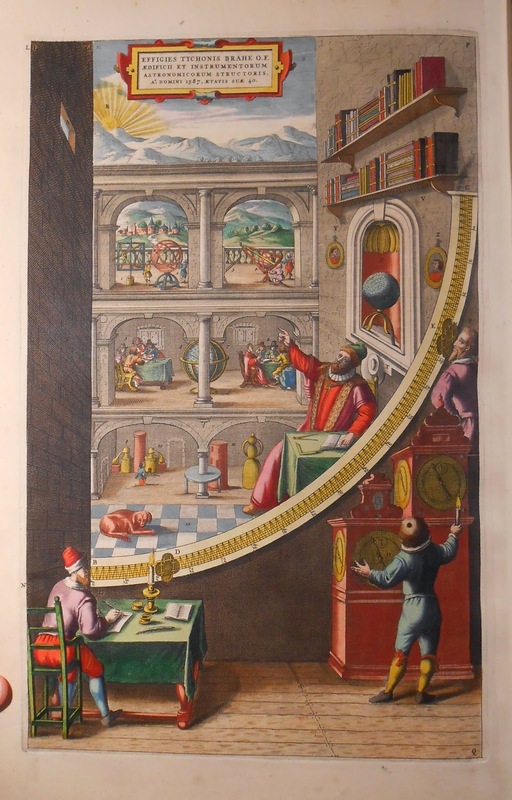 The attention given to Brahe's measurement instruments suggests a certain level of technical expertise, thus elevating the already grand atlas through association. To enjoy a walk through Brahe's observatory at Hvæna, ask for volume 1 of Rare G1015.B48 1662.